Fierce Reads Tour Fall 2014 (Chicago): Recap, Author Interview, and Giveaway! 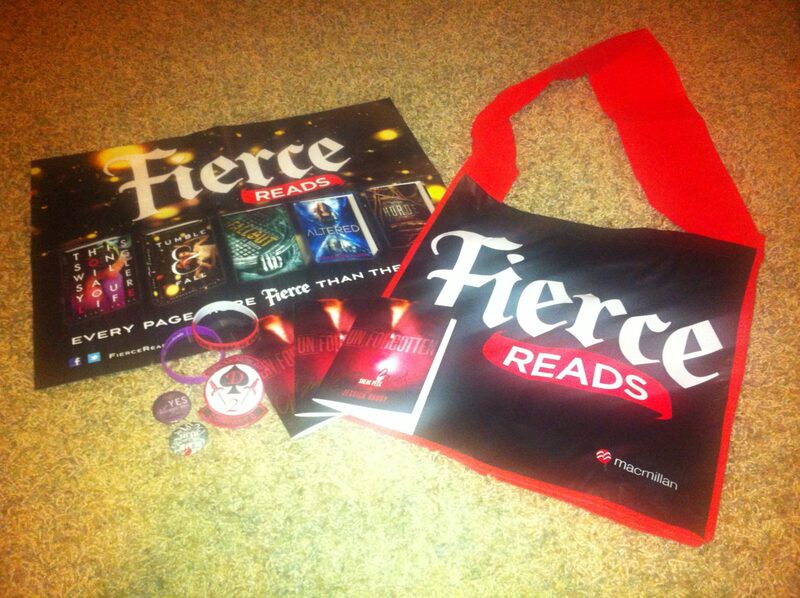 Fierce Reads Tour Summer 2014 (Chicago): Recap & Giveaway! 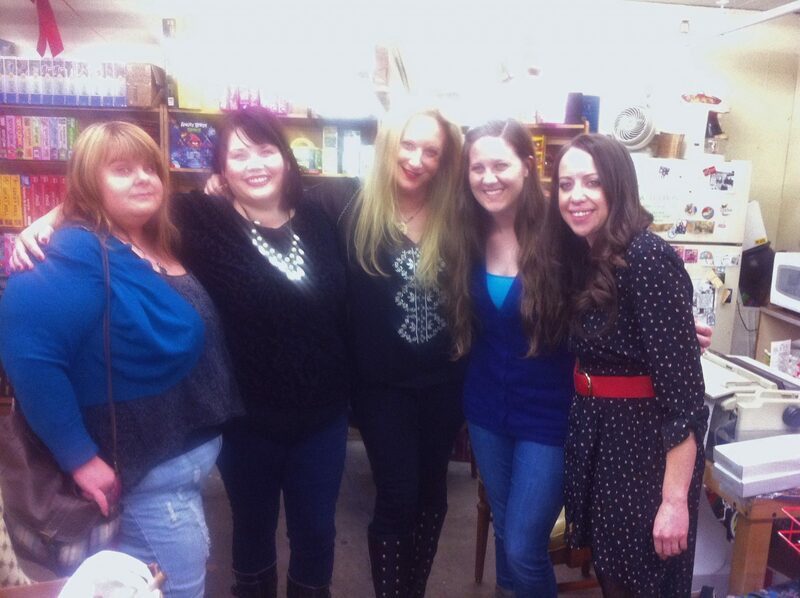 Fierce Reads Tour 2012 – Chicago area recap! Skylark Blog Tour: Interview with Meagan Spooner! That would be a FANTASTIC dinner party! Can I join? Haha! Sounds like you had an amazing time! The first author event I went to was the Fierce Reads tour back in June and it was a fantastic experience. I wish they had come close to me for this one because I would have loved to see Bardugo again. These ladies are just plain hilarious. My very first author event EVER was Fierce Reads last year in June so it kind of has a special place in my heart! 🙂 These ladies are just so much fun. It was an absolute blast! gah! how have I not said hello to you in person yet!!! I was there! next time I’m finding you!! Hope you had fun! I just love these authors. They are an absolute blast! I have already devoured Leigh Bardugo’s books (and can’t wait for the third! ), but I keep hearing good things about the Enclave series, so I am excited to check them out. Great interview! I love getting to know authors more especially what books interest them. Can’t wait to read Unforgotten! I need to do a reread of Enclave because it’s been so long and then I can read Outpost & Horde. I really love the authors’ interactions with each other. I went to a Fierce Reads signing in June with Leigh, Jessica, Gennifer, Emmy Laybourne, and Anna Banks, and they were just so funny, especially when they would play on or tease each other! I think I’m most excited for Unforgotten because I’ve read Unremembered. Also, Altered because I’d love to binge-read those two books! All four series sound great, but I’m especially excited about Enclave! What a great interview! Sounds like you all had a blast! I’m most excited for Enclave – I’ve heard nothing but great things about the series! Aw, you did such a great job! It sounds like such a blast, and I wish I could have gone. The answers were hilarious! You ladies had ALL THE FUN! …Minus the share of fun I had reading the transcribed interview. XD Great job, Brittany! It’s so fun to be the featured blogger, I swear! I’m glad you got a chance to meet these amazing ladies. They’re pretty darn awesome! Great interview! I am most excited about Shadow and Bone; I’ve heard so many great things about it. Shadow and Bone is absolutely one of my favorites and Siege and Storm was AMAZING. So excited for you to pick up that series! I absolutely love it. Haha! Interviews like this makes me want to be friends with the authors 😛 So much fun! Haha me too! I wished we could have just hung out the whole night! Those ladies were so much fun! I love the interview! Everyone is so hilarious! I’m mostly looking forward to reading Horde. I’ve heard from tons of different people that it’s beyond good. They were SO much fun!! I just started the Razorland series recently and I enjoyed book one! Definitely looking forward to continuing on in the series. Its a fun interview! Everyone seems funny and really nice. I’m excited about The Razorland Series since thats the only series that i havent read yet among fierce reads authors. They were so wonderful! Lots of fun and all very nice. I can kind of related to Jessica’s “weird” habit of listening to audio books at a faster speed. I don’t listen to audio books, but I don’t like to music that has a lot of space in between the lyrics or that is sung slowly. And I don’t like people who talk slow. My friends make fun of me for preferring fast-talkers and music with a lot of words or music that’s faster. Hahaha “weirce” is so perfect. I love it! I’ve been curious to listen to an audiobook and 2x speed! especially since I’m listening to Game of Thrones haha. It takes forever!! Oh I’m so jealous!! I’m love all of these ladies, and their books! I cannot wait to read Unforgotten. They are SUCH a fun group! 🙂 I’m super excited for Unforgotten too! Thanks so much! Siege and Storm was SO fantastic!! I can’t wait for you to read it! Seemed like such a great event! Thank you for typing out the interview for everyone who couldn’t go to a Fierce Reads event. 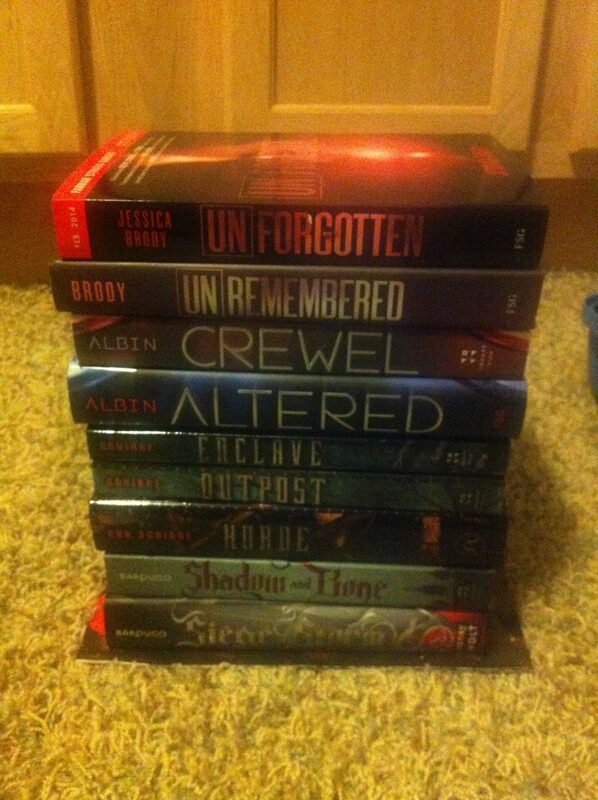 I’m most excited to read the Shadow and Bone series! It was such a great time and the authors were so wonderful! You should definitely pick up Shadow and Bone! Leigh Bardugo’s books are some of my favorites of all time! EPIC interview! Great job!! 😀 Can I be excited for all of them? I enjoyed the interview. My favorite question was Do you have any quirky reading and/or writing habits. I’m looking forward to Jessica Brody’s two books. A fun interview. I’m most excited about Siege & Storm. That answer made the entire interview for me. Most likely because I feel the same way. No admittance: exception party business! Haha. Ah!! I am super excited for Unforgotten!! What an amazing interview. I am absolutely obsessed with Crewel, and even more so with Shadow and Bone and Siege and Storm! But the one that I haven’t read that I am most looking forward to is Unremembered. Been wanting to read that one for a LONG time now. 🙂 You’re so lucky that you got to meet all these great ladies! I agree that Henry Cavill is always the person to bring. I think he is the only thing that could make Leigh Bardugo’s books even better.